Our home is an extension of ourselves - and The Decor Kart stands by this phrase. We invite you to select those elements that most appeal to you and use them as vantage points in creating your ideal home. Regardless of dimensions & aesthetics, a home should be a refuge - serene, comfortable and safe. Our elements will be appreciated for eternity - treasures that reflect your imagination, energy & enthusiasms. Galaxy Art Deco is an online marketplace to shop luxury furniture and exclusive home decor. We have gained recognition and accolades over the decades for being the top wholesaler and manufacturers of Indian handmade artistic products. We as leading global suppliers of furniture, decorative, antiques and gifts provide the award-winning professional services which exclusively include the wide range of embellished and valuable handcrafted hard goods and home furnishings at a very affordable price. Loginwood Furniture is a company with over start-up 10 years’ experience designing and building furniture of lasting value. Our excellent craftmanship and high level of customer satisfaction have allowed us to grow from a small start-up to an furniture industry leader. Loginwood Furniture uses the latest machine technology and high-quality materials to create custom made modular home and office furnishing. Our large assortment of Bedroom sets, beds, wardrobes, office cubicles, Workstation Tables and other pieces are all made in our factory in Pune. We at GAD, are focusing to create high quality oriented and more global styled products with the help of designers and ace level craftsmanship. I endorse the affordability and reliability of the brand GAD on a global platform. 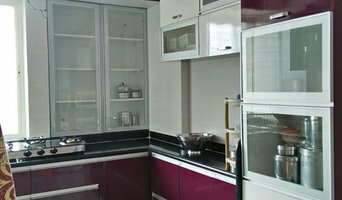 We are also focusing to launch and manufacture all range of products pertaining to home designing and hotel projects. 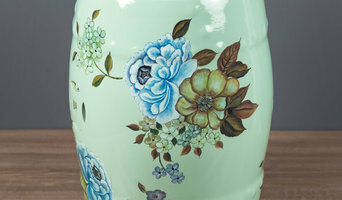 We specialise in making memorable home decor items that will last FOREVER! Captured in our creatively designed clocks, trays, boxes, magazine racks and coasters!! Purveyors of fine antique colonial and custom furniture. The Impressive Arts & Interiors, is government recognized manufacturer exporter & supplier of pure silver and white metal mounted handicrafts furniture as antique reproduction in Victorian, Regency, Anglo-Indian style and Indian Palace & Ethnic style furniture, our business is located in Udaipur, Rajasthan. UDAIPUR is historical city and also well known & acclaimed the world over for its beautiful lakes, fairy-tale Palaces, temples and hill-top forts. Our mission is to sustain the ancient production process and maintain supply of artistic ornamental silver handicrafts furniture from rich monarchic and palace period and to come within reach of new commercial projects and development of public icon residential, Villas, Resorts, 5-Star Hotels, Restaurants, Bars, Club, Pent houses of high and noble society . We really need very few, rare and only upper class aristocracy projects to make and supply glorious real silver and white metal antique reproduction furniture. Our unit is already approved by Government Handicrafts Emporiums in India (where we are supplying since 1997) and we are also the registered suppliers of 3-State Government Emporiums in India and exporting FCL ( 20’ & 40’ containers) with LCL to USA and European countries like U.K., France, Belgium and Switzerland from last 9-years. We have a reputation in offering to our customers high quality decorative products for interiors and personalized services with satisfaction. Asian art exports is well-versed manufacturer and exporter & trader of Indian Wooden handcrafted furniture, Indian Bedroom Furniture, Indian teak Old Antique Reproduction Furniture - Indian Antique Furniture, Indian Ethnic Furniture, Silver (Chandi) Furniture, Indian white metal (German Silver ) Furniture, Wooden Carving Furniture, Brass Embossed inlay Furniture, Bone Inlay Furniture, M.O.P. Inlay Furniture, Indian handcrafted luxury Tents, Indian Royal wedding Stage, Mandap & Accessories. Asian art exports is located in Jodhpur, one of the beautiful city of the world, it called Sun city, there are deserts and heritage Havelis. There are also 5 star hotels that mentioned in world's top hotels. 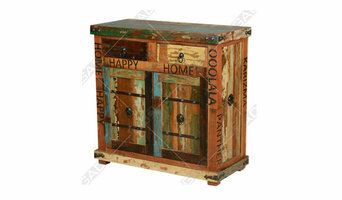 Jodhpur is also known for handicraft furniture and wooden crafts Jodhpur is located in Rajasthan in INDIA. Asian art expots work on order, we work for household furniture like Beds, dining table, coffee table, room chairs, chest of drawer, sofa set etc. we also work for offices, restaurants, hotels and bar. We deal in sterling silver furniture, white metal(German Silver) furniture, bone inlay furniture, mother of pearls furniture, wooden furniture, brass, copper, and in Meenakari. The products we manufacture are well crafted, well finished, and good quality and in various design. Our artisans are well trained and very responsive; we always encourage our craftsman to make new designs and styles. Asian art Exports export in all over countries. Like in USA, UK, Australia, Germany, Canada etc. Our products appreciated by many people and we always admired for our services. We make decorative furniture for both interior and exterior, we make interior furniture like living room chairs, Victorian sofa set, bar stool, divider screen or partition screen etc. in exterior furniture we make wooden swings, white metal door panels, coffee table etc. 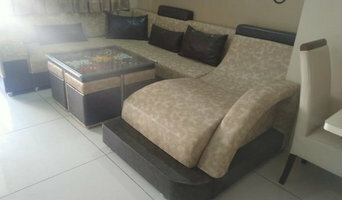 Our specialty is wooden carving furniture, we emboss wooden furniture and apply silver or other material sheet. We are very good in bone inlay furniture and mother of pearls furniture that you can fine in our products gallery, we make good number of bone inlay chest of drawers and chairs. 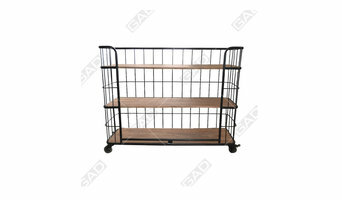 Some of our products are wooden cabinets, silver daybeds, thrones, wedding accessories and gift articles etc. Iqrup + Ritz is a contemporary furniture and décor brand established in 2014 by mother and daughter duo, Iqrup and Ritika (Ritz) Dhamija. Since launching we’ve shipped 1000s of products worldwide and become synonymous with beautiful design, understated luxury and expert craftsmanship. We're based in Delhi, but we deliver all over the country. Get in touch for more details. We are a tailored-service for furniture with a blend of quality, vogue and function. Our focus is on customer satisfaction, and we aim to achieve that by transforming their requirement into a well-proportioned, elegant product keeping their comfort and lifestyle in mind. Pop goes the ordinary. Designs, for Happiness. Born from an interplay between texture and form, modern sensibilities with indigenous accents, the cusp and the curve, limón invites you to be surprised and refreshed with unique design elements. limón is the result of a long harvested creative passion that has been inspired and shaped by Aradhana Anand. After nine years in the maritime industry as an oil freight trader living in Dubai and then in Singapore, Aradhana decided to exit the corporate space to finally make a profession of what she's always loved - dressing a home. Having happily advised many a friend on how to add that bit of ethnic charm, pattern or colour to the generic looking expatriate apartment, she kept ahead of design trends and probed her own aesthetic leanings while conceiving limón in the summer of 2015. limón's debut collection focuses on the chair; with styles personifying what Aradhana does best, cleverly marrying diverse elements to put together a coherent, glorious piece of furniture. Her seamless balance of colour and texture coupled with great aesthetic sense has won this Warwick Business School graduate, features in international and domestic publications.